My Public Land Owner shirt seemed like the most appropriate shirt to wear to the exhibition. This past weekend I was able to see the Ansel Adams: Masterworks exhibition at the North Carolina Museum of Art. The show is amazing and should be seen by anyone who enjoys photography and our amazingly beautiful country. I've always been a huge fan of Adams' work, first attracted to the landscape, then his technical ability, and now his conservation efforts. Not many people realize that Adams' conservation work is just as powerful as his photographs. Ansel got involved with the Sierra Club in 1927, became their official photographer in '28 and by 1934 he was elected as a member of the board of directors, a role he held for 37 years. He suggested proposals for improving parks and wilderness, and soon became known as both an artist and defender of Yosemite. Additionally, Ansel Adams’ photographs, - specifically his book Sierra Nevada: The John Muir Trail - were used by the Sierra Club in their successful lobbying of Congress to designate King’s Canyon as a national park. For many years I thought it was strange to be an artist and a hunter. It seemed that the two were opposites, however, over the course of making Fresh Tracks I’ve found that they are more connected than they appear. A photograph typically isn’t taken with the intention to conceal or to be hidden; rather a photograph is meant to be shared. Photography is a visual form of communication. The photographic image is powerful, it can promote new ideas and be a vehicle for change. In fact, the photograph helped populate the west. In the mid 19th century, while serving as the official photographer for three U.S government survey expeditions, Timothy O’Sullivan produced some of the earliest and most influential photographs of the American West. The survey photographers “sought out the vantage points that might make it possible to recreate for easterners a sense of the immensity and primordial silence of the region” (Rosenblum, 144). 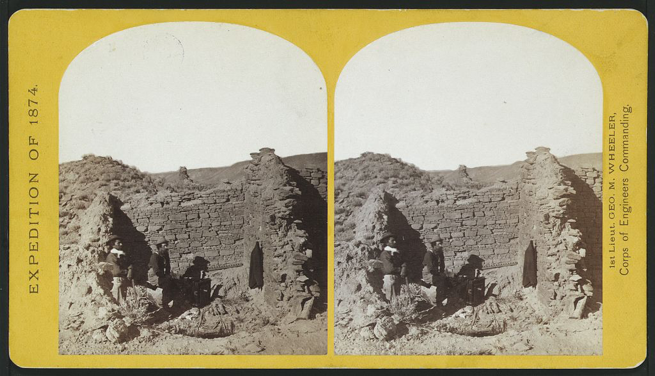 The proliferation of stereographs brought the landscape into the homes of American families, which in turn brought Americans out west. Rosenblum writes, “As the frontier moved westward and industrialization began to change the character of the landscape, Americans increasingly turned to the photograph as a means of both celebrating technology and of expressing reverence for the landscape being threatened by its advance” (144). Like hunting, photography has contributed immensely to the conservation of America’s landscape. The American survey images, in addition to being made for the public, were also "presented in albums and as lantern slides to members of congress and other influential people to drum up support for funding civilian scientific expeditions and creating national parklands" (Rosenblum, 135). To convince the United States Congress of the “distinct Grandeur of the scenery”, survey photographer William Henry Jackson printed albums of his Yellowstone Scenic Wonders in support of Ferdinand V. Hayden’s campaign for a Yellowstone National Park. Things aren't so different now as they were in those early days. There's quite the push in Washington to transfer or sell off our public lands. Our public lands are uniquely North American, no other place in the world has it as good as we do here. Not only will the sale of our land cause us to lose our favorite places to recreate, but it will also destroy decades of wildlife and habitat conservation. Fortunately, hunters and anglers have been taking up this fight. Organizations such as Backcountry Hunters and Anglers and Theodore Roosevelt Conservation Partnership are a couple of the loudest voices and advocates for our public lands. If you care about public lands, please check them out. Reference: Rosenblum, Naomi. A World History of Photography. New York City: Abbeville Press Publisher, 2007.